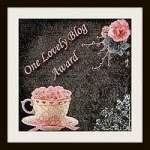 I was quite pleased that 5 Acres & A Dream recently received the "One Lovely Blog Award" from Melissa at Kids and Canning Jars. Every person who visits this blog, and especially those who take time to leave a comment, are very much appreciated. Those of you who follow with Google Friend Connect, are a tremendous encouragement. Awards are an honor, because it means an acknowledgement that we are making a contribution about homesteading. Yes, there's value in the personal record that a blog affords, but beyond that, it means we're a valued part of a larger community, and that, as they say, is priceless. There are a number of excellent blogs receiving one of the other of these awards. To find them, you can click on either the above links, or the award buttons themselves. I'd like to mention too, two other websites that have honored us by including our blog on their homesteading and lifestyle resources pages. I've never mentioned them before, but am doing so now, as a way to say thanks. They are Life Unplugged, where we can be found on "Our Favorite Homestead Blogs" page, and Manna Pro, where we can be found on their Community Blogs page. If you're looking for a few more good blogs on homesteading, check these out too. And if you got here from any of the above, thanks for checking us out! I love exploring link lists like these, because I love seeing what others are doing, picking up ideas, sharing experiences, encouraging others, and making new friends. Because really, blogging is more about community than anything else. It's an excellent way to learn, but also an excellent way to enter into conversation with folks with a common interest, from varied backgrounds, all over the world. And so deserving of both awards! You have a wonderful blog Leigh and we all so appreciate the chance it gives to get to "know" and learn from you in this way! Very deserved. Savor these moments, they offer a glimpse of the difference you are making. Love, love, love your blog Leah! You're an inspiration and deserve the recognition. Keep up the good work! Oh...and thanks for the link. I'll be checking these blogs out soon. Leigh, you definitely deserve these awards for your amazing inspirational blog. Congrats and keep blogging away. Cheers! Congratulations! And I love your new updated blog look. Very nice. The code from my old template was written in the 90s. Code does change and eventually become obsolete, so I felt it was time for a change. Bloggers new template designer made that fun and easy.